Stocked in Copper, Fungi, Metal Grey Paloma and Silver Cloud or Brick Red Cori. Other colors are special order. Stressless Large Live Recliner and Ottoman- Great back support included! Live large with the Stressless Live Recliner and ottoman by Ekornes. 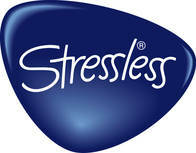 One of the newer additions to the popular healthy-back Stressless line. Our Ekornes Authorized Price Reduction Sale is live! We have new recliners, new models, new changes to old models, new options, new leather colors, discontinuation of some colors, and much more. We always recommend clicking here to check out our latest blog post as our dedicated team posts most of the new information to the blog first. Many of these new changes aren’t even available for delivery yet. We just wanted to make sure to keep you updated as soon as we found out about these exciting changes.